The 1998–99 FA Premier League (known as the FA Carling Premiership for sponsorship reasons) was the seventh season of the Premier League, the top division of English football, since its establishment in 1992. The season will always be remembered as the one in which Manchester United won a unique treble of the league title, the FA Cup and the European Cup. They secured their fifth league championship in seven seasons after losing just three league games all season. The season was also the 100th season of top flight football in England, not counting years lost to the two World Wars. 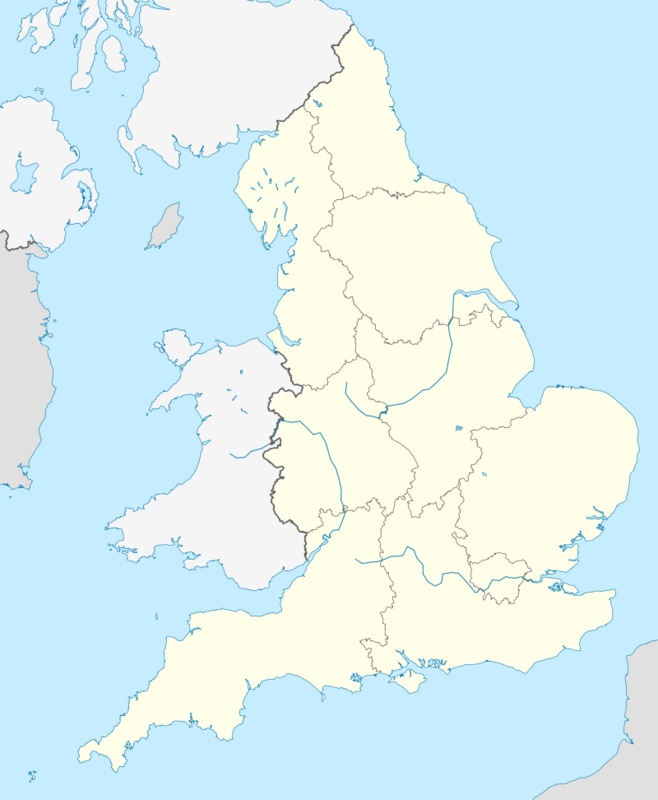 Of the original clubs in the first Football League season, only Aston Villa, Blackburn Rovers, Derby County and Everton were present for this season. Arsenal failed to regain their title, despite having the same points tally as last season 78 points, but had at one point looked as though they were on the brink of winning the title, after beating fellow rivals Tottenham Hotspur, while Manchester United had drawn against Liverpool, 2–2. However, Manchester United pushed on and took advantage of Arsenal's 1–0 defeat at Leeds United in the penultimate match of the season and despite going 1–0 down against Tottenham on the final day, came back to win 2–1 and clinch the title. Should they have failed to win, Arsenal would have been crowned champions once more. To achieve their success, the Manchester United playing squad had been altered substantially during the close season. A total of more than £28 million had been spent on Dwight Yorke, Jaap Stam and Jesper Blomqvist, while several older players left the club; Gary Pallister returned to Middlesbrough after nine years for £2.5 million, while Brian McClair returned to Motherwell on a free transfer. In December, however, McClair was back in the Premier League as Brian Kidd's assistant at Blackburn Rovers. At the end of 1998–99, the Premiership would have three Champions League places. As well as Manchester United, runners-up Arsenal and third placed Chelsea would be playing in the following season's Champions League. There would only be one automatic UEFA Cup place from the league – taken by fourth-placed Leeds United. Fifth-placed West Ham United qualified for the UEFA Cup via the Intertoto Cup. Also qualifying were Newcastle United via the FA Cup final, and Tottenham Hotspur via the League Cup. Bottom of the Premiership in the final table came Nottingham Forest, who suffered their third relegation in seven seasons. One notable low for Forest this season was an 8–1 drubbing at home, by Manchester United. Second from bottom came Blackburn Rovers, who just four seasons earlier had been Premiership champions. The final relegation place went to Charlton Athletic, who went down at the end of their first spell in the top flight for nine seasons. The only newly promoted club to survive was Middlesbrough, who finished in a respectable ninth place. None of the teams relegated from the Premiership the previous season regained their top division status in 1999, although First Division champions Sunderland regained their Premiership place after a two-year exile. The other two relegation places went to long-term absentees from the top division. Playoff winners Watford regained their top division place after an absence of 11 years, but runners-up Bradford had been outside of the top division for 77 years. These two promotion winners surprised the observers more than any other Division One side during 1998–99. Liverpool brought in former French national coach Gérard Houllier to work alongside manager Roy Evans at the start of the season, but Evans resigned in November to leave Houllier in sole charge. Tottenham Hotspur sacked Christian Gross in September after less than a year in charge. His replacement was George Graham of Leeds United, who was himself replaced by former assistant David O'Leary. Newcastle United sacked Kenny Dalglish just after the start of the season and replaced him with Ruud Gullit. Everton appointed Walter Smith as Howard Kendall's successor. Blackburn Rovers sacked Roy Hodgson in November, with the club bottom of the table. Manchester United assistant Brian Kidd replaced him. Ironically relegation was confirmed in the penultimate game of the season against Kidd's former club. Nottingham Forest sacked Dave Bassett in January and put Ron Atkinson in charge until the end of the season. Atkinson retired after failing to save Forest from relegation and former England captain David Platt, 33, was named as player-manager. Wimbledon manager Joe Kinnear was effectively forced to step down due to health problems in March, and did not return to the club. Coaches Mick Harford and Terry Burton took charge until the end of the season, when Norwegian coach Egil Olsen was appointed manager. 1 2 3 4 "English Premier League 1998–99". statto.com. Retrieved 13 March 2015.